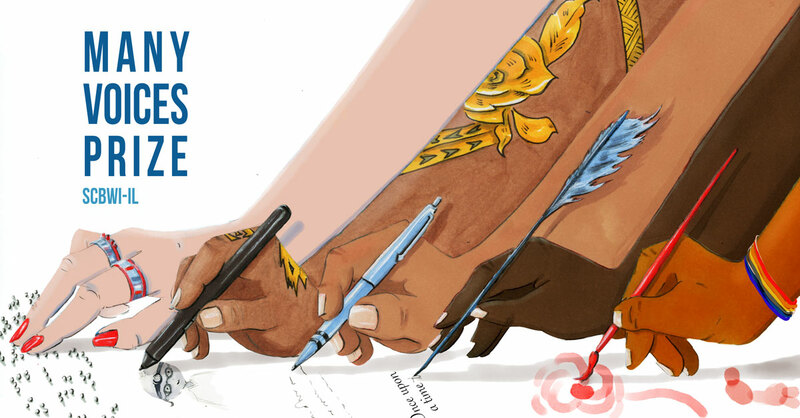 THANK YOU to all of the wonderful writers and illustrators who submitted to this contest! The judges could only select one winner, but to each of the applicants – your presence and your voices are immensely valued! You bring so much to our chapter and to the literature of children and young adults! Thank you to the anonymous donor and all members who have donated or volunteered your time in support of our Diversity Initiatives! Thank you to Katie Otey for all of your work managing the submissions! Your time and skills are greatly appreciated! Thank you to Urania Smith and Jacqueline Alcántara for announcing the winners last night with verve! Next stop, Oscars stage! Submissions CLOSED – Winner will be announced on April 8, 2019 at the event Marginalized Voices Out Loud: Queer Indie YA Author Lee Wind in Conversation. Free registration is required – click here. Eligibility: Diverse SCBWI members (writers and illustrators) who live in Illinois. Diverse for the purpose of this prize: people of color, Native people, people with disabilities, LGBTQIA+ people, and marginalized religious or cultural minority. Applicant must be at least 18 years in age. 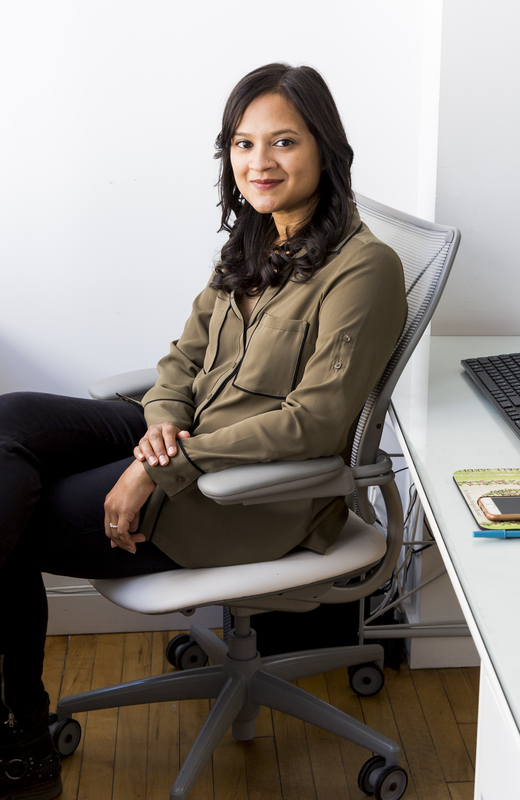 One winner will be selected and will receive: a written critique and a 30-minute Skype or phone chat about the submitted work-in-progress or portfolio from Tanusri Prasanna, an agent at Foundry Literary + Media. The 2019 judge of the Many Voices Prize will be Tanusri Prasanna. Tanusri Prasanna is an agent at Foundry Literary + Media representing children’s books and adult non-fiction. On the children’s side, she represents both fiction and non-fiction across picture books, middle-grade, and YA. On her wish list right now, are well-plotted middle-grade and young adult fiction, contemporary and fantasy, written with heart and humor, and children’s non-fiction across ages. She’s also drawn to smart, meaningful and funny picture books. An immigrant herself, with a family filled with people of varied backgrounds (including Slytherin), Tanusri is always actively seeking diverse voices, protagonists, and settings. You can learn more about Tanusri at http://foundrymedia.com/team/tanusri-prasanna/ and follow her on Twitter @TanusriPrasanna. Diversity the applicant identifies with. Attach work sample to the email – your name should NOT appear on any of these materials. Submit sample from a manuscript, no more than 5 pages in length. (Novels may include an additional one-page synopsis). Double-spaced, Times 12-point font, one inch margins, no headers. Poetry submissions (this includes rhyming picture books, picture books in verse, and stand alone collections) should conform to the guidelines above. However, they may be single-spaced, with a double space between the stanzas, per industry standards. Stand-alone collections (i.e. a group of poems intended to be published as one book) must have a page break at the end of each poem. Submit a pdf of 4-6 pieces suitable for children’s book illustration. Submit sample from a manuscript, no more than 5 pages in length (Novels may include an additional one-page synopsis) Double-spaced, Times 12-point font, one inch margins, no headers. 1 finished illustration from accompanying mss. Graphic Novel submissions: In addition to a manuscript sample, submit 1 finished illustration which corresponds to your sample. Your submission will contain up to 7 pages maximum: 5 script pages, a 1 page synopsis and 1 page of finished art. The winner will be announced April 8, 2019 at a special event with author Lee Wind focused on diversity, self-publishing and the intersection between the two. More details to come! Need not be present to win. The Many Voices Outstanding Manuscript Prize / Many Voices Prize has evolved over time. 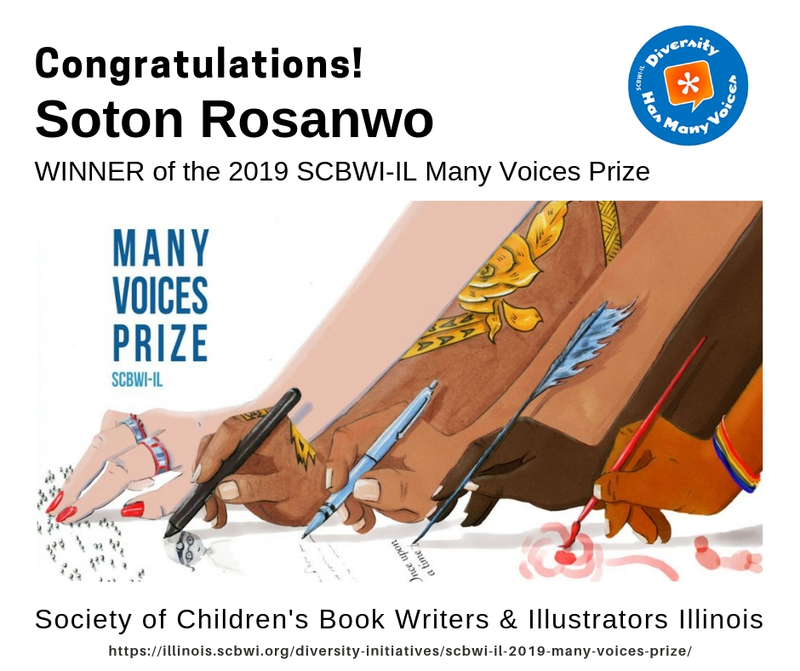 The 2016 -2018 prizes were funded by a generous SCBWI-Illinois member. If you would like to contribute to future prizes, please email us at illinois@scbwi.org. If you are not yet a member, take a look at the Diverse New Member Pathway.